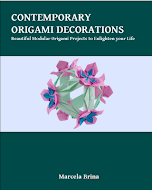 There are several origami models that can be used to make Christmas cards. 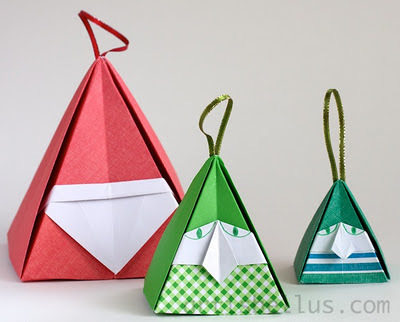 In this case, I made a pop-up Christmas Tree card using a modified kusudama piece. A 8 ½"x 5 ½" rectangle of red card stock, for the card, folded in half. A 8"green square of green paper for the kusudama tree. A few ¾"squares of different papers to make the packages. Glitter glue, to decorate the packages and the tree. Some stickers, for the star and the greeting. 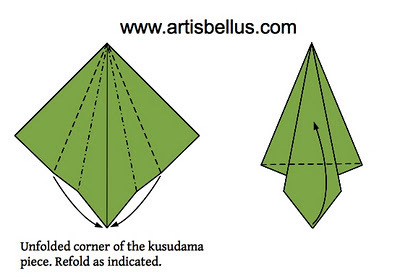 Fold a traditional kusudama piece. Click here for the video instructions. 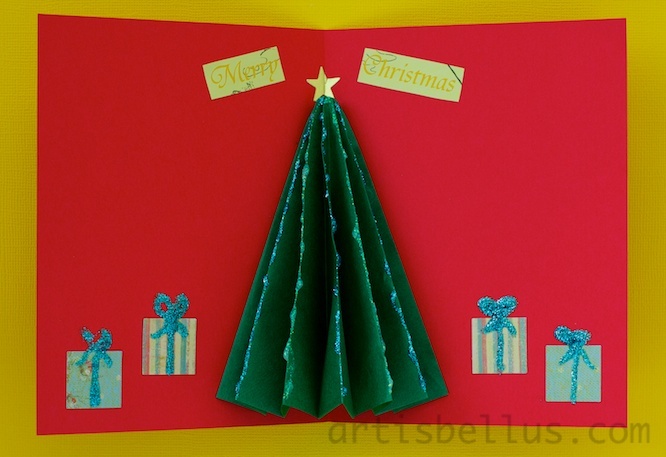 Glue the decorations on the inside of the card. The center of the flat side of the kusudama tree must be glued to the center of the card, so the tree will pop-up when the card is opened.